As part of its efforts to make the VA more responsive to veterans’ health care needs, the VA announced last week that it is creating 5 VA Mental Health Telehealth Clinical Resource Centers. The VA sees telehealth services as a vital part of their efforts to improve and increase access to care for veterans, especially those in remote areas. Telehealth services can make it easier for veterans to obtain certain types of specialty care, and in some cases remove the need to travel to the nearest regional medical center. 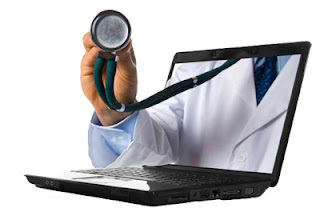 Currently, over 677,000 veterans receive healthcare from the VA through telehealth services. Telehealth services fall primarily into 3 types: Clinical Video Telehealth, Home Telehealth, and Store and Forward Telehealth. Clinical Video Telehealth (CVT) uses real-time interactive video conferencing to allow healthcare providers to diagnose, manage care, and even treat patients remotely. For example, using CVT, a speech pathologist can work with a stroke patient in a remote location, making it easier for the patient to get needed treatment without having to travel long distances. Similarly, a surgeon can provide pre- and post-operative diagnoses as well as real-time surgical consultations. CVT is currently being used by over 45 medical specialties, including cardiology, neurology, primary care, nutrition, rehabilitation… and the list continues to grow. Home Telehealth allows providers to manage the care of veterans with chronic conditions, such as diabetes, through the use of in-home or mobile monitoring and/or video messaging. Store and Forward Telehealth (SFT) uses data, imaging, and video technologies to gather and store patients’ clinical information which can then be forwarded to or retrieved by providers at another VA location for evaluation. The results of the information generated by SFT are documented in the patient’s record. The five new VA Mental Telehealth Clinical Resource Centers announced last week will use all three of these telehealth technologies to provide mental health assessments and care to veterans with limited access to VA facilities. Veterans in need of mental health care can be connected in real-time to providers who may be miles away. One VA Mental Telehealth Clinical Resource Center is already up and running in West Haven, Connecticut. Additional centers are being built in Salt Lake City, UT; Charleston, SC; and Pittsburgh, PA. The last center will consist of a group of facilities in Seattle, WA; Boise, ID; and Portland, OR. These facilities are all expected to be up and running this summer. Telehealth services make it possible for veterans to receive the care they need without the expense and inconvenience of traveling to a regional medical center. If it is determined that a veteran needs to be seen in person or be hospitalized, those arrangements can be made using CVT. More information on the VA’s telehealth programs can be found at www.telehealth.va.gov/real-time/.